Ashok Kartham faced that decision four years ago. His new company, Mize Inc., is his second time around the warranty industry. Mize is launching Warranty Connect, a cloud-based service for warranty claims processing. It's based on two relatively new technologies that weren't even around when he first got into the business 20 years ago: smartphones and cloud computing. But that's a good thing, because now he doesn't have a legacy installed base to worry about. Kartham is undoubtedly one of the warranty processing software industry's best-known veterans. Back in 1995, he founded 4C Solutions Inc. in East Moline, Illinois, after developing custom warranty processing software for an agricultural machinery company that was based nearby. Long before Warranty Week was founded, he was running a warranty industry news and information page as part of the 4CS website. And once Warranty Week did come on the scene, 4CS signed up as one of its first sponsors. About four years ago, Kartham sold 4CS to the Parametric Technology Corporation, or PTC, for an undisclosed sum. Nobody ever said how much he got, but we believe it was in the neighborhood of $15 million, which in turn was in the vicinity of a year's revenue for the company. Suffice it to say he could have bought a very big sailboat and retired to the Gulf Coast in comfort. But he didn't. Instead he founded Mize Inc. in 2012, coining the name of the company out of the phrase "Mobilize to Monetize." Initially the focus was on mobile app development efforts, with the company creating "Smart Blox" for activities such as product registrations, customer experience management, field service, loyalty programs, service plans, and warranty. As time went on, the company went deeper and deeper into warranty and service plans. 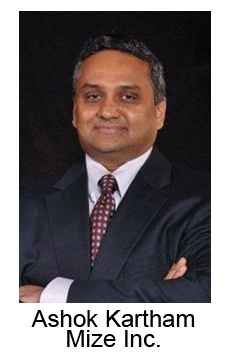 Kartham began speaking at warranty conferences about the potential benefits of mobile technology and cloud computing, such as his presentation at last month's GWSCA Conference in Chicago. Then he announced Warranty Connect, and it became clear that Kartham is back for a second lap around the warranty and service contract software industry, with this as his vehicle. Since this past April, Mize has been a Warranty Week sponsor. Kartham said he decided to build his re-entry into the warranty software market around a cloud offering because that's the way the rest of the software industry seems to be heading. For example, in CRM it's Salesforce.com, and in ERP it's NetSuite. Compared to the old style of premise-based software solutions, cloud is both a cost-effective and highly-scalable method of deploying these types of solutions. "We want to provide a cloud service for warranty," Kartham said, "and for the related processes for all of the stakeholders, that is dealers entering claims, suppliers processing supplier recovery, and manufacturers managing their warranties. We are offering it as a full cloud service." Kartham said companies are now looking toward cloud computing as a way for them to reduce the cost of getting on board and as a way to easily manage all the infrastructure they want, but to still get the business functionality they need. "We felt that in warranty, we needed a good cloud offering to make it easy for all the companies involved in this whole process to get on board and have a much lower cost of managing and using a warranty system," he said. With traditional software that's installed on the customer's computers, Kartham added, even upgrades have been very complex. A cloud architecture is simpler, and is easier to connect with. Another advantage of a cloud architecture is that the process of upgrading the system is done automatically, without the need for the customer to do anything. All the customer needs is a web browser. And that web browser can even be on a smartphone or tablet. Kartham said he thought of the name Warranty Connect because of this emphasis on communications. "Connecting different stakeholders as well as the different systems that are involved is one of our key differentiators," he said. "We think having that seamless connection makes the whole process more streamlined. So we thought that part of it is very important." Kartham noted that while the new service is called Warranty Connect, it works with service contract as well as product warranty claims. "We have a Smart Blox called Service Plans that works with any purchased warranty. It could be extended warranty, service contract, or maintenance plans. But the way the data is exchanged, whether it's for claims, returns, or other things, will be the same model as what we're showing here," Kartham said. While in the old days warranty was merely a payment system, nowadays it's more like the hub of a data communications network. "I think these are part of the maturation of the technology," he said. "Warranty can be looked at not just as a cost center or a financial transaction but as a way to differentiate the company." Kartham said there have been at least two big waves of change in the warranty processing software industry in the last two decades. First, he caught the wave 10 to 15 years ago with 4CS as customers migrated from a variety of homegrown and legacy systems to web-based warranty systems. Now, with Mize, he's catching the wave of migrations from premise-based to cloud-based systems, and from wired computer networks to wireless, Wi-Fi, and mobile phones. "We think now, in the new wave, warranty can be looked at as a way to provide a better customer experience," Kartham added. "How do you enable not only the people that are involved in the claims entry, such as warranty administrators, but get the people that are actually performing the repairs, like service technicians, involved in the process?" "Some of the work we're doing in Mize is to help standardize the warranty process itself," he said. 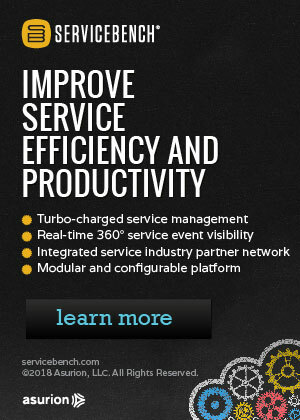 "Companies can still differentiate on their warranty offering and how they provide service to their customers. But the way they exchange warranty data is not the differentiator. That can be standardized." The other major challenge was always the cost of installation. Kartham said Warranty Connect is probably cost something on the order of one-fifth to one-tenth as much as its predecessors, whose prices generally started in the hundreds of thousands of dollars and quickly ramped up into the millions. But more importantly, there won't be any big up-front license fee to be paid. This will be based upon a subscription model, he said. And upgrades will be built into the subscription price. "We think this opens things up for smaller manufacturers and smaller suppliers to be able to get the benefit of a complete warranty system," Kartham said. Previously, many smaller companies couldn't justify the budget needed to implement such a system. But with a cloud-based model, lower costs, and faster implementations, the target market can be much broader, he said. "When manufacturers want suppliers to pay for warranty claims, they are sending files in different formats, with different coding, and all that," he said. "With Warranty Connect, we want to enable suppliers to receive claims from different manufacturers in the same place, so they don't have to work through multiple systems and multiple formats. 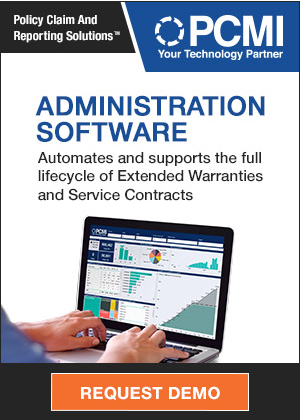 "Warranty Connect will translate data from different OEMs so the suppliers has one place to receive and process their claims. We also want to make the failure coding a bit more consistent and standard, so they can analyze the failures across different manufacturers' products, and they can find emerging issues faster." "Today, they have to work with different systems, and re-enter the data differently for each manufacturer," Kartham said. "But by bringing them all into the cloud, we want to make it easier for them to interact with multiple manufacturers with a single sign-on." 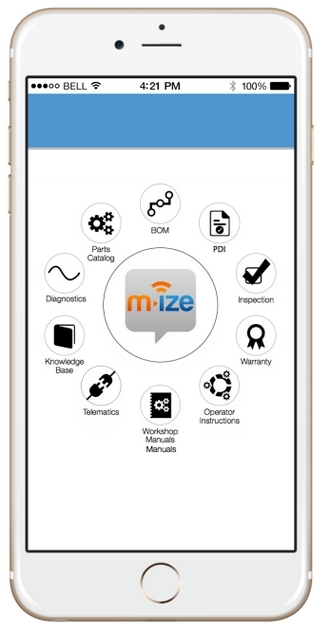 Kartham said Mize has also released an application programming interface (API) for Warranty Connect, so it can be integrated into existing dealer management systems and other software programs that might be in use on the desktops. "We are also going to create some of the interface maps with the major dealer management systems," he said. "That's our approach," Kartham said. "That's an evolution in the industry in terms of how the API is being used as a way to create an ecosystem. It's not just about a single monolithic system, but to have an ecosystem of partners. We don't want these dealers to be re-entering data that they already have in a dealer management system into a warranty claim. That leads to errors." Mize is initially pitching Warranty Connect to specific "high-value durable goods industries" such as automotive, heavy equipment, computers, HVAC, major appliances, and consumer electronics, Kartham said. Specifically, he is looking for industries where the actual products themselves are becoming capable of connecting to the cloud, reporting when they're malfunctioning or are in need of a repair. Earlier this year, the Global Warranty and Service Contract Association gave Kartham its Pioneer in Warranty & Service Contracts Award. Kartham, the group's statement said, "has been the successful founder of not just one, but two companies providing invaluable technology and support in warranty and service contract management. In addition to those efforts, he has always found the time and money to support Warranty Chain Management, GWSCA, and young entrepreneurs in his new home, Tampa, FL. Both his drive, as well as his commitment to his industry and community, are deserving of special recognition." "I feel absolutely honored," Kartham told Warranty Week last week. "Having been in this industry for almost two decades, I feel very connected to the industry. I know the GWSCA has been contributing a lot to the industry, and in getting recognition from them, I feel very honored." Terry Hawkins, the president of the GWSCA, said the prize is in recognition of Kartham's contribution to the warranty management industry over the years, and specifically in recognition of his support of the association over the years. "They have gone above and beyond the call of duty, helping us manage our website, helping us with conference registrations, and doing everything in their power to help advance what we do," he said. Mize is actually now the volunteer webmaster of the GWSCA's website, a task which Hawkins and his vice president Jimmy Bynum used to do. Hawkins said he was happy to hand that job off to people who were more technically proficient. For the past two GWSCA annual meetings, Mize created a mobile app loaded with the agenda and a list of attendees. And then when the association began to host webinars, Mize again stepped up. "When we first started talking about developing the training curriculum," Hawkins added, "they volunteered to let us use their GoToMeeting webinar service, which saved us a lot of money. They've done a ton of stuff for us. And we appreciate it." Hawkins said he first met Kartham about five years ago when he was still at Assurant and Kartham was still at 4CS. And they met again more recently when Kartham asked Hawkins to do some consulting work for Mize. And then Hawkins asked Kartham to help out with GWSCA. He said Kartham's recent support for GWSCA was one thing, but the decades of thought leadership in the warranty industry was the biggest factor behind the award. "He got the attention because he's a big supporter of our organization, but you have to look at, as they say these days, the complete body of work," Hawkins said. 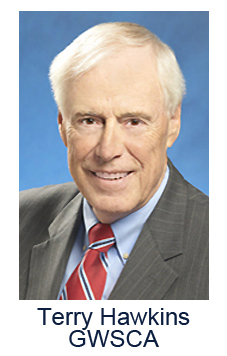 "He has been a warranty advocate for decades now. So you can't not recognize that kind of commitment. He's clearly a visionary. He is always kind of a step ahead, and one of the hardest-working people I know." Interestingly, until this launch of Warranty Connect, Mize was shaping up to be primarily a mobile app developer that was only on the periphery of the warranty software industry. Now, it's headed back into its center. Is that a problem for the GWSCA in general or for Hawkins in particular? Not at all. He said there are other software companies and other consultants with seats on the board and within the membership of the GWSCA. Some of them have also let the GWSCA use their facilities and network infrastructures. "We welcome everybody into the organization and welcome their support and contribution," he said. Hawkins has also now moved to Florida and has taken to posting pictures of boats and sunsets on his Facebook wall. But he's not retiring in the least, having just recently chaired the GWSCA's annual meeting in Chicago and re-upped for another tour of duty. "A wise person said they would rather wear out than rust out," Hawkins said. "Working is incurable, as far as I can tell." And it seems like not only he but also now Kartham have adopted that as a philosophy of life. So why didn't Kartham just move to Florida and sail off into the sunset? "I could have done that," he said. "But we see a much bigger opportunity in the warranty, service, and customer experience management area." Right around the time he was selling 4CS, the world of possibilities opened up in terms of cloud and mobile, he said. "So we felt we could leverage all our past experience, as well as what's happening in the industry, to bring better solutions and options to customers, to build a much larger company than before, and also to impact the industry a lot more." VW blames unidentified software engineers for defeat device. Eaton adds a year to the warranty coverage on aftermarket clutches. Toshiba puts the "limited" in limited warranty. Kia Motors America renews extended warranty agreement with JM&A Group. You have a cheating Volkswagen -- now what? Goodman and local dealer wouldn't honor warranty, woman says. What to expect from a foodservice equipment warranty. Daimler Trucks North America engine warranties to cover after-treatment systems. Volkswagen starts diesel car recall in January; software fix should do. Peterbilt's certified pre-owned trucks covered by Red Oval Assurance warranty. Cyclists form Velocare to sell service contracts for bicycles. Best iPhone 6s extended warranty & insurance options. Study says VW smog cheating could cost company at least $25 billion. Why tread-life warranties are next to useless. Survey results name the most reliable laptops. GWC Warranty's VP Kate Eltringham named to Agent Entrepreneur's 40 Under 40. The pros and cons of home warranties. Home warranties: chance favors the prepared home. Warrantly launches cloud service to store copies of warranties for consumers. Volvo Cars of Canada offers lifetime warranty on replacement parts. Gary Jennison joins The Warranty Group as CEO of its European operations. Comlux America becomes authorized warranty repair facility for Boeing Business Jets. Air India complains about Boeing 787 Dreamliners grounded for warranty work. Range Rover's CarMax extended warranty has saved its owner more than $6,400. Google Nexus Protect program includes accidental damage protection. Nexus Protect details: coverage and deductibles. Find It Now GPS security system adds 3-year warranty. Registria wins Direct Marketing Association 2015 Innovation Award. RSK MiG terminates MiG-29 fighter jet service contract with Bulgaria. Fiat Professional launches maintenance and warranty packages in UK. Warranty Direct UK names ten most reliable student cars. SCIC reminds homeowners that a home warranty can help keep the heat on. Should I buy the extended warranty for the Tesla Model S? AmTrust Financial Services closes acquisition of Warranty Solutions. President Obama signs Fischer-Nelson E-Warranty Act into law. NAC's Christina Schrank & Spencer Wanderon named to 40 Under 40 list. AmTrust makes a minority investment in Sym-Tech Dealer Services. Next GWSCA annual conference scheduled for Sept. 20-22, 2016 in Chicago. Is AppleCare+ worth it for the iPhone 6s? Dana gets Masters of Quality Award from Daimler Trucks North America. Assurant reorganizes top management, appoints enterprise-level senior executives. Australian regulator approves of council's revised Solar Retailer Code of Conduct. Online petition in India demands warranties for road repairs. Motorola will void Moto X Pure warranty if bootloader is unlocked. Safety shoe warranty violates workers' compensation law, court finds. StrucSure Home Warranty signs homebuilder Tilson Homes. American Home Shield announces new president, Tim Haynes. NC proposal could exempt cars with warranties from sales tax on repairs. Pool cover warranty doesn't cover frequent use. Fortegra to offer mobile phone protection plans to USAA members. Diesel deception sets up a new challenge for VW's CEO, analyst says. Volvo Car Korea lengthens warranties to 5 yrs./100,000 km from 3 yrs./60,000. Upsie enters crowded field for extended warranties. EPA alleges Volkswagen diesel engines violate the Clean Air Act. New Jersey's warranty law could expose business to greater liabilities. Reading the regulatory landscape of service contracts. Digital Watchdog expands 5-year warranty to cover more cameras. British man who sold used cars with fake warranties jailed for 3 years. Peugeot-Citroen Group seeks to shed negative perception of French car reliability.